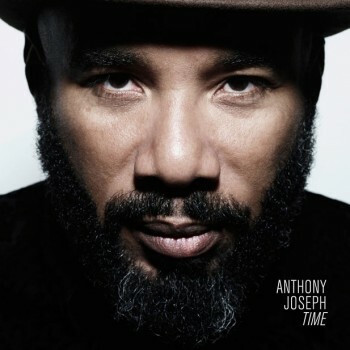 Poet Anthony Joseph’s fifth album, produced by Meshell Ndegeocello. Few contemporary poets teach creative writing at the University of London while, at the same time, bowling over large audiences at festivals around the world. Anthony Joseph has also published four volumes of poetry and a novel, and is currently working towards a doctorate. As if all this weren’t enough, he is releasing his fifth album, the result of a true meeting of artistic minds, with the New York based bassist and singer Meshell Ndegeocello. “Time” should go a long way towards engraving Anthony Joseph’s name in the history books of great black music.